On the 20th of October, Philippines favourite and most loved fast food “Jollibee,” finally (And I have to re-iterate this too!…FINALLY!) opened their doors to the UK at 8am where Thousands of customers became a part of this iconic history. Filipinos from all over the UK and not to mention… from Europe, such as Germany, France, Ireland, Spain to name a few. 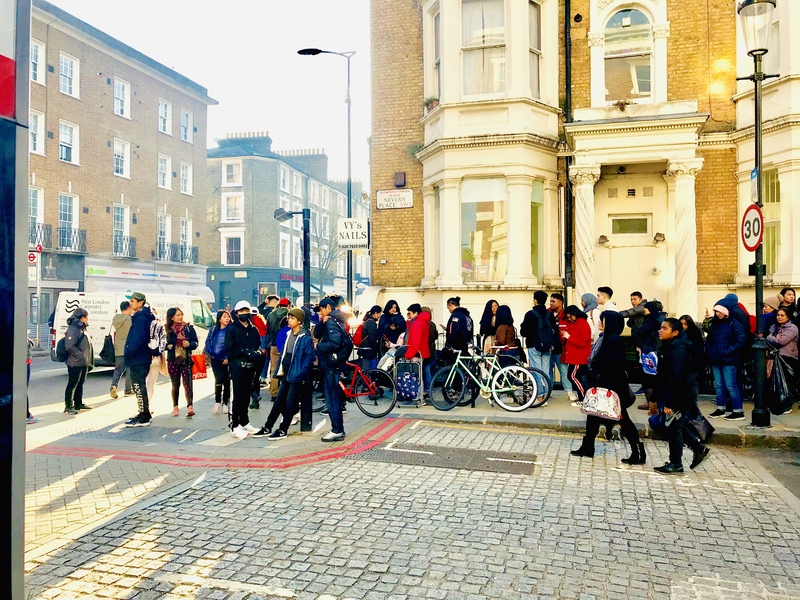 Earl’s Court in London is where Jollibee calls their First UK store “Home!” and no doubt about that, since Earl’s Court is home to the Filipino community where you can find Filipino restaurants, supermarkets, hairdressers, money transfers and many more. 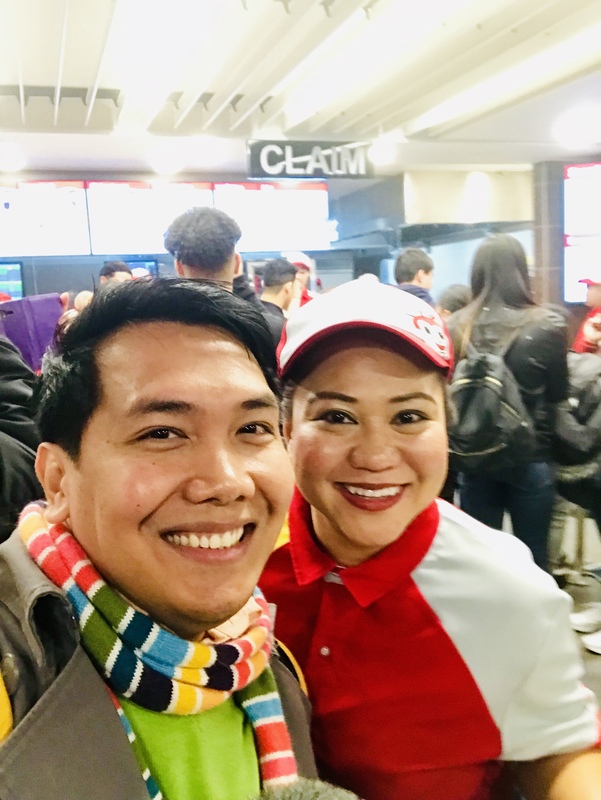 I was very lucky to visit Jollibee during their opening day and the experience was definitely worth it! I woke up at 4am and made my way to Earl’s Court at 5am. I wanted to make sure I get there as soon as I can in the hopes of being one of the First 200 customers to receive a Jollibee stuff toy and a Free Chicken meal (Small things like these means a lot to me! and this is a matter of principle and the excitement of coming to Jollibee UK). Unfortunately, when I got there at 5:30 am, the queue was already building up and unfortunately, I was not one of the First 200 customers. But I was still within the 200 plus customer (I can’t remember exactly but it was a close call for me!). 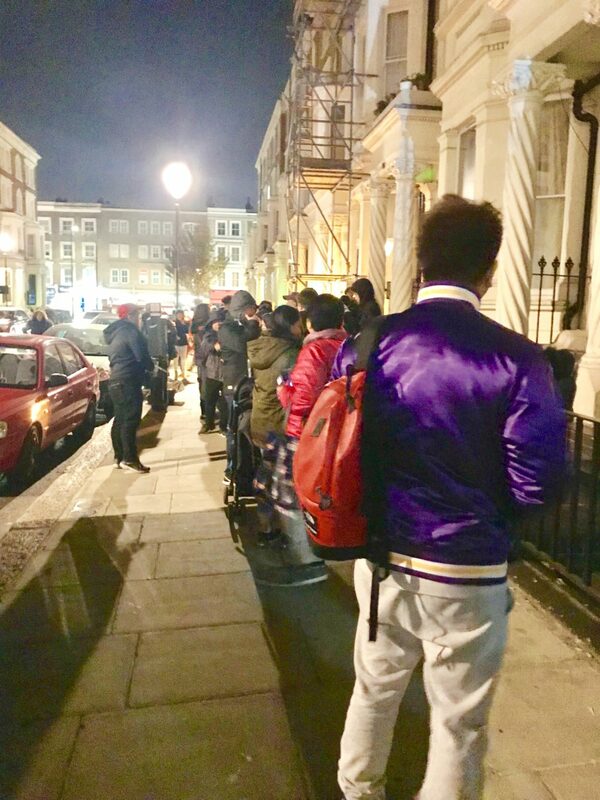 The queue at 5:30 am! 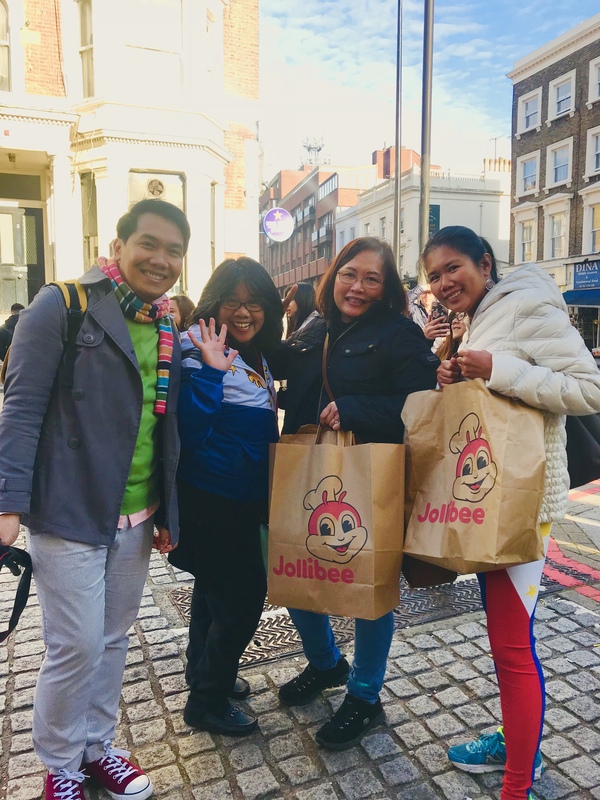 Outside Jollibee UK in Earl’s Court London. 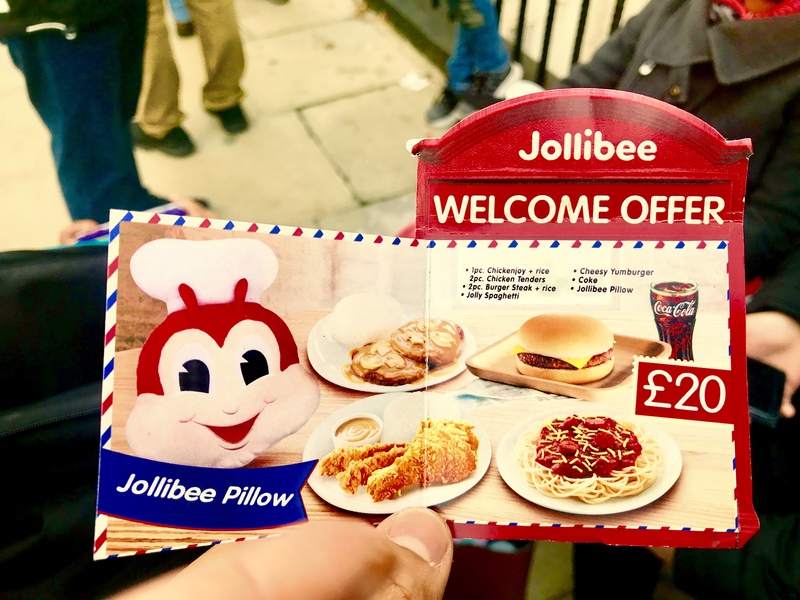 Before the opening day, a select number of Filipino stores were selling these ‘Welcome offer’ voucher cards that were worth £20. Myself and my “Ate’s” who managed to be one of the First customers to enjoy Jollibee UK! 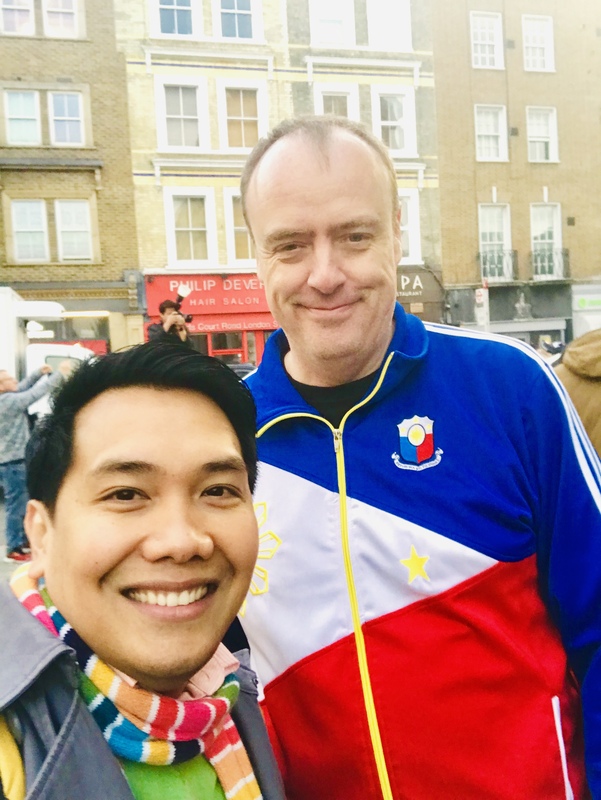 Meeting British Blogger with a Filipino Heart, Malcolm Conlan who also queuing at the Opening of Jollibee UK. 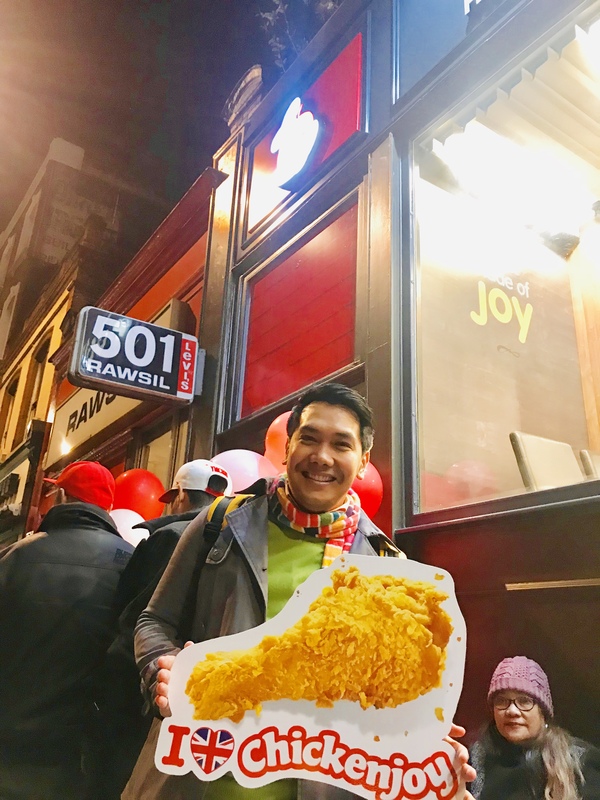 I met so many Filipinos not just living in London, but all across Europe who were anticipating for the opening of Jollibee UK! 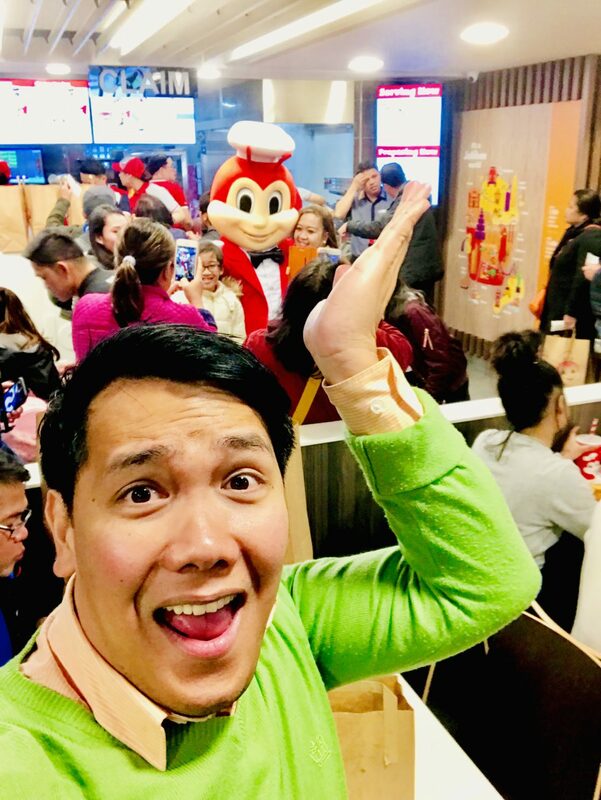 When it was my turn to make my way in to the “Emerald City” that is… Jollibee… I felt so at home and made me feel that I am back in the Philippines. We were welcomed by the lovely Jollibee staff which makes you feel the genuine Filipino hospitality. At this point, I definitely thought I was back in Cebu. 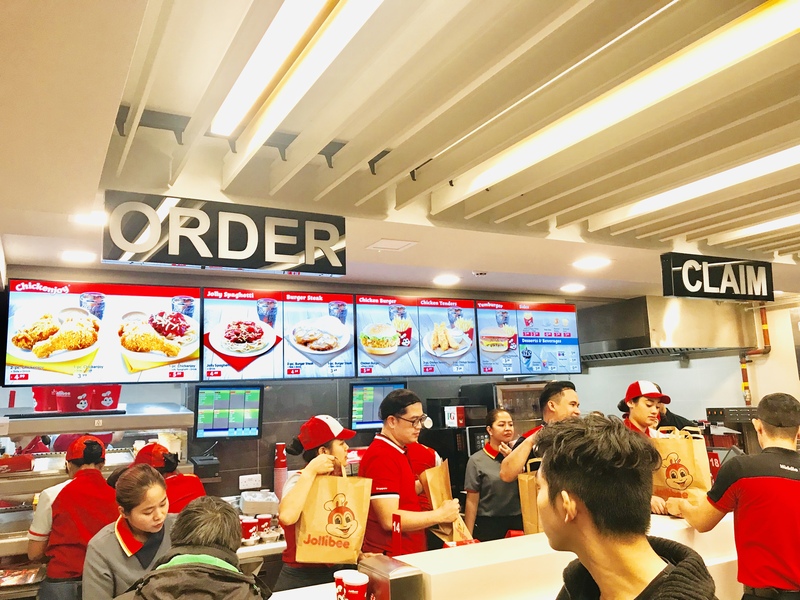 Feeling “At Home” in the Philippines as I entered Jollibee UK! Myself and One of the amazing Jollibee UK staff, Richie! Waiting to place my order. Finally! It was my turn to hand my order slip (As one of the staff took our orders outside of the queue), and was greeted with a friendly and Filipino greeting “Good Morning Sir, Welcome to Jollibee!” I ordered a handful, such as Chickenjoy, a Jolly Spaghetti, Regular Yum with Cheese (Cheeseburger), 1 Piece Burgersteak, Large Fries and a Chicken burger. At this point, I made sure I had my cash ready as they only accept cash at the moment with a maximum spend of £50 per person. It didn’t took long until I had my order ready. 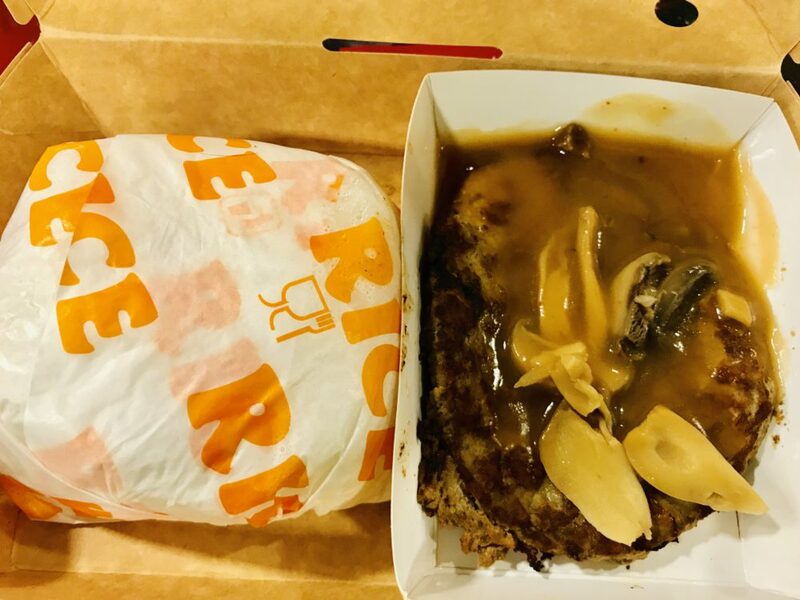 I miss eating a Jollibee Burgersteak! 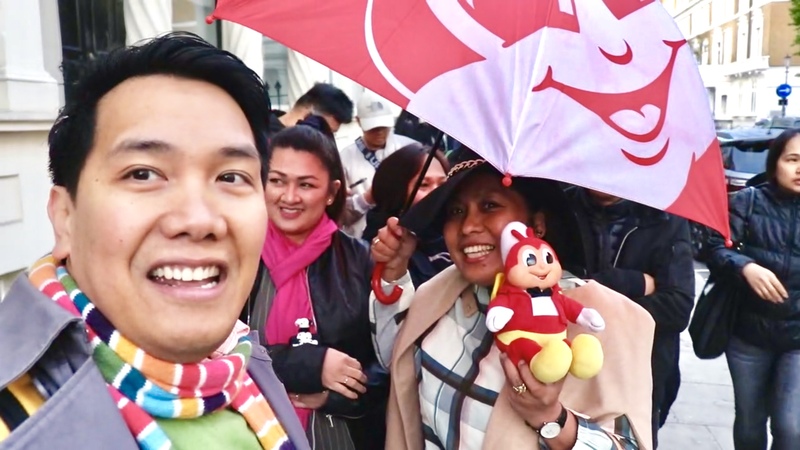 Overall, I really had a great time at Jollibee UK! 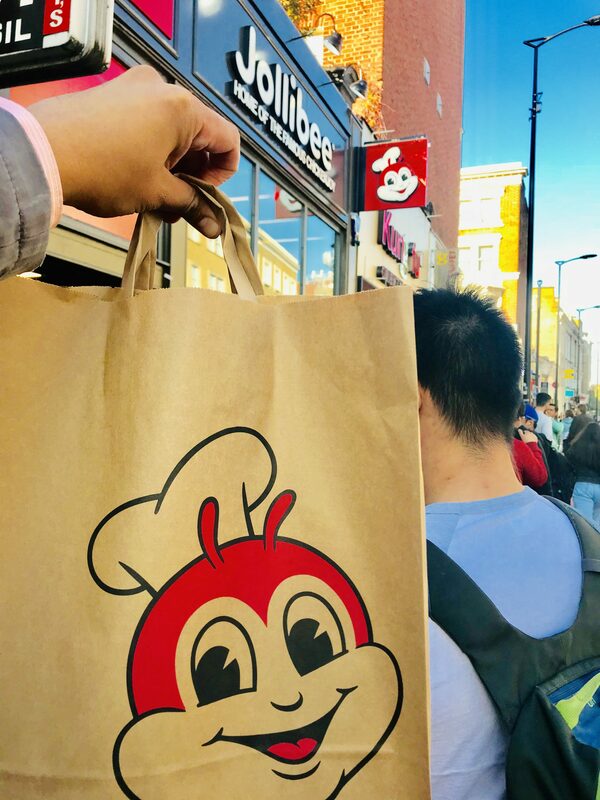 Having Jollibee in the UK makes you feel like being back home in the Philippines, which is more than just queuing for a Chicken meal! 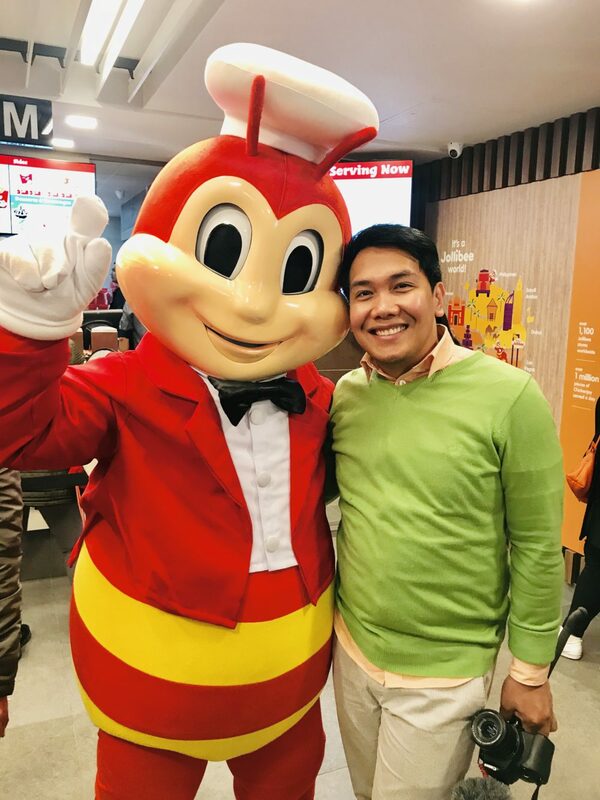 Most Filipinos grew up enjoying Jollibee and especially, during their childhood days when a visit to Jollibee was an exciting treat and a reason to bond with families, friends and loved ones. 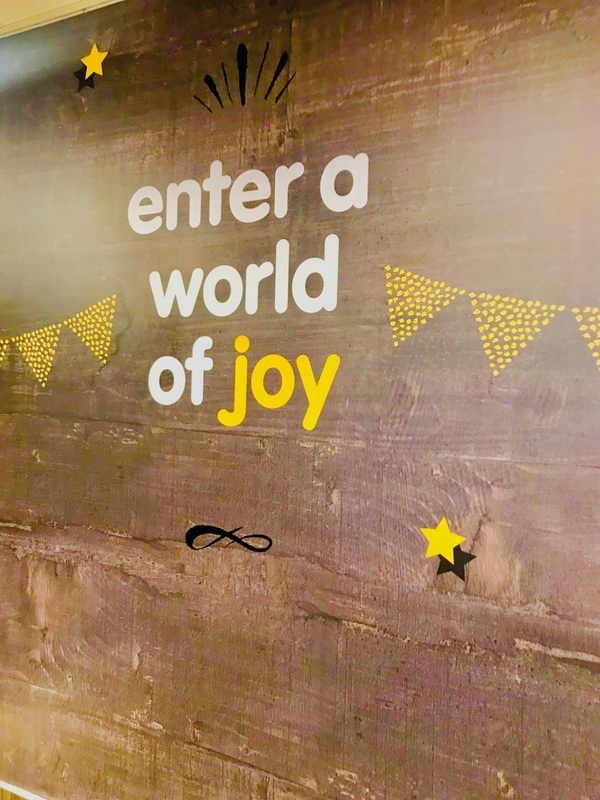 Will I be going back to Jollibee?… Absolutely! 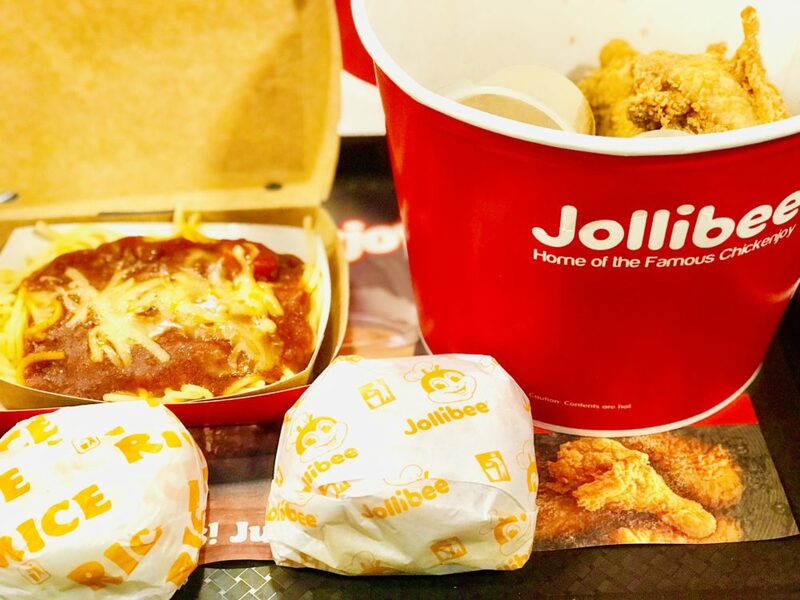 Are you a fan of Jollibee? Or have you visited any Jollibee stores? I’d love to know your thoughts. Jollibee is located in Earl’s Court, London. The nearest Tube station is Earl’s Court station. Please note! Jollibee only accepts cash payments and a maximum of £50 spend per person. Thinking of coming to London? Check for some deals on accommodations flights on Lastminute.com here and Expedia here.